Oil is more than vital for your vehicle: it brings life. The oil circuit starts in the oil pan, and your oil pump will take the lubricating fluid and distribute it to passages around the block. It is directed to the crankshaft bearings, camshaft bearings, valve shifts, and other moving parts in your engine and the surrounding area. Modern formulations often include detergents, so the owner’s manual recommends regular oil changes and filter changes. These natural changes keep your engine happy and running well. However, your vehicle can experience slight drops in oil pressure, and when instances like it happen, do not ignore. For most vehicles, the oil light is either a tiny oil can or an indicator that says ‘oil’ or something along those lines. But what does the oil light mean? Stop the car: one of your first steps, after you notice that your oil light has come on, is to stop because this will not be a drill. 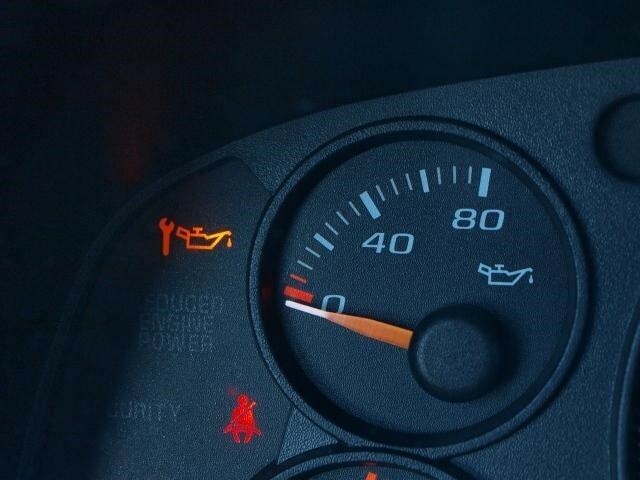 When the oil light comes on, it means that your engine has suffered a drop in oil pressure. Without this oil pressure, it cannot self-lubricate, and it will ‘self-destruct.’ It is never going to be news that you can take lightly. If you fail to replace your oil on time, your engine will incur high damage internally. It is truly a ticking time bomb. Whether you immediately pull into the shop or go home, you need to be aware that you may not have enough time on your side, so do not take an oil pressure for granted. Stopping your car to understand the issue is key. A primary cause of low oil pressure in your vehicle will point to little oil. If there is not enough oil to keep up with the pump’s demand, there will not be oil pressure at all for very short periods of time. While this does not sound serious, a minute without oil pressure can ultimately ruin your engine. Another cause for a bright oil light is a failing oil pump. An engine is rarely so revved up that an oil passage becomes blocked to the point of reduced oil pressure. It can happen, but typically, this is due to a failing oil pump or blockage. It is the most likely cause of low oil pressure. Whether you are riding along the highway or in the city, you should always try to immediately stop when you see that your oil light comes on. Check your oil, and add engine oil if you have it available. After adding engine oil, check to see if the light goes off. If it does not, take your car into the shop. Although you may not want to incur those shop fees, it will be much worse if you suffer severe damage to your engine, and possibly to your vehicle. Never Under Estimate The Power Of An Oil Change! Previous PostPrevious How Often Should You Change Your Vehicle’s Fuel Filter?